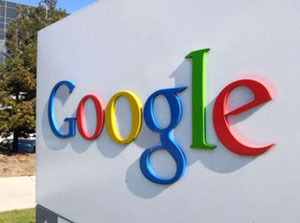 BrandChannel has an article explaining that Google is making more of an effort to monetize YouTube through advertising. To anyone familiar with Google, this should come as no surprise. While the company continues to add more products to their expanding empire, they are at heart an advertising company. Everything they create is done in an effort to sell more ads. Somewhere north of 90% of Google’s revenues come from their highly successful AdWords program. While these often cost less than $1 per click, for a brand with Google’s reach, all of those individual clicks quickly add up to tens of billions of dollars a year. The brand follows a fairly standard approach to new product lines. Search is the clearest example of this, but the same pattern was evident with gmail. More recently, Google has started placing logos on Google Maps. The beauty of this business model is that, despite what their financial statements say, most people don’t view Google as an advertising brand. Google has managed to separate their product from their revenues in the eyes of most of their users. An advertising brand would be limited in what they could do, but Google is able to extend their brand in all sorts of new and exciting ways. What do you think? How tightly linked is your brand to your revenue streams?